Seattle looks terrible. Not "they deserve to lose" terrible, but it's not a great look for them. I really think this look is much better with the green on the pants. Blue is better, but grey is a fun shake up. 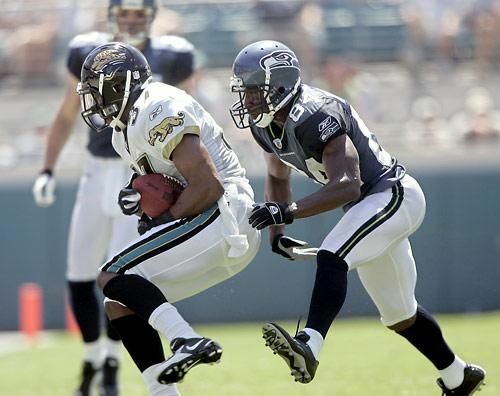 Seattle's all blue uniform pulls off the hard to hit combo of being both over-designed and boring. Granted, it's most likely only boring because we've had to look at it so much the past half decade, but still if I never had to see it again it would improve my life dramatically. A few posts back I said they looked 1000 times better in gray pants... Let me make this clear. It's still not a good uniform, but every option that isn't monochrome is always a better option. Always. 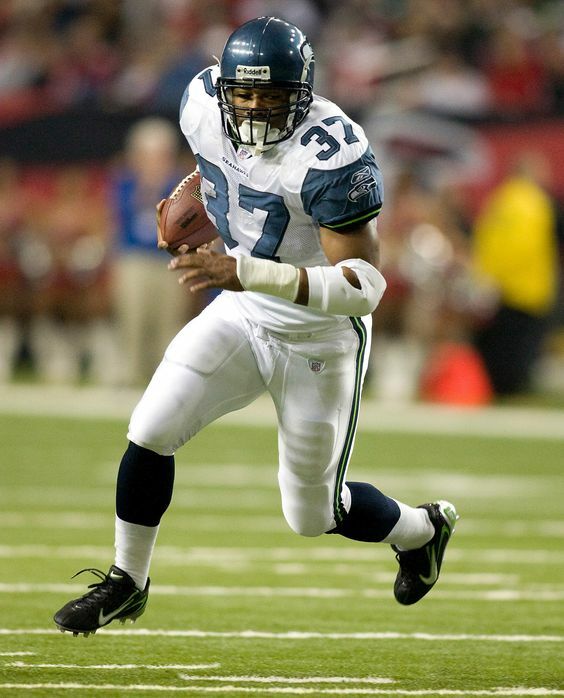 You don’t like the Shaun Alexander and Matt Hasslebeck ones better, do you? Are they required to stick with the same dark jersey/pant combo the rest of the playoffs? I feel like that rule is in place for jersey, but I'm not sure about pants. I'm no fan of their mono-blue, but the grey pants against Cowboys' similarly colored pants is pretty unpleasant. Should we lose, we probably won't see this combo for a while. I would prefer all blue stay a Seattle home look only. You weren't asking me, but I think that was Seattle's best look. I hated the blue over slightly different other blue monochrome combo, but I really liked the all white, the white over blue, and the blue over white combos of that set. I think they only wore the blue over white a few times. Anyway, I'm guessing I'm in the minority on this one. It’d be cool to see this come back as a throwback. 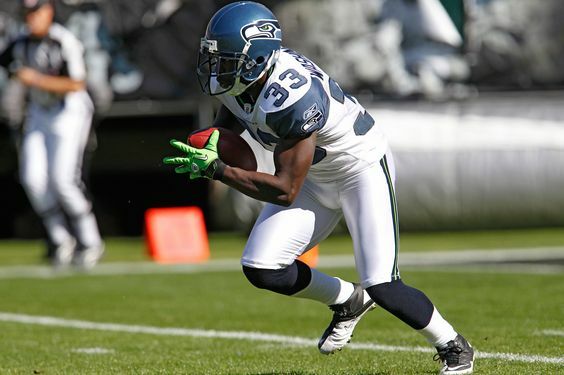 I like that the Seahawks apparently reserve monochrome for home. It’s a nice touch. And, while watching this game, I have to say it makes me love the Cowboys' white jerseys even more ... they're gorgeous, mismatched silver and all. Eagles Bears tomorrow will be a classic matchup, can’t wait. It'd be cool to see these come back. Period.